This week has been a total bummer for me in hockey so far. Malys lost in Monday by a 3-2 score in OT off a deflection off my own defenseman’s stick. The good thing is that we didn’t lose the game because of me, course we didn’t win it in the end. 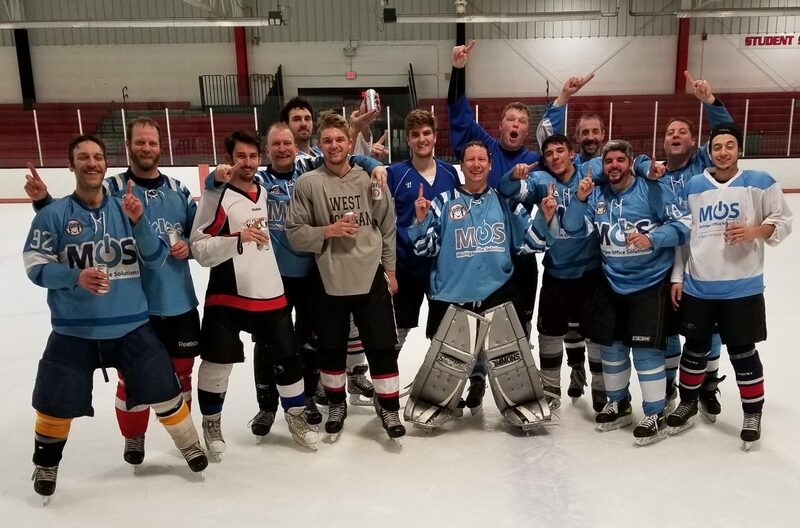 My ice hockey team lost on Wednesday 8-4, and I played about average. Came up with some good stops at times, but allowed just a few too many goals I should have had. Tonight, I dropped two more games. Marketlab lost 5-4 in OT to Grand Valley, a team that has given us fits in the past. We had a lot of chances, but just couldn’t score. Grand Valley capitalized on their chances. Two of them on the far side of the net because I was out to far taking the shooter. Really, I didn’t allow any horrible goals, but I have to come up with key stops in those situations. Structural lost 6-3, but I once again played pretty well considering they had about 50 shots on me. I came up with some unbelievable saves, but when you are getting peppered, its hard not to come up with those kinds of saves at least a few times in the game. I make no excuses for my play this week. I didn’t play my best games, but my best has yet to come. I am getting my bad games out of the way in time for playoffs on Saturday. Tomorrow I will go to work, go see the Griffins in the evening, and then crash for the night in anticipation for Saturday’s hockey games. Just like always, I will be ready to give it a go and I am confident I will do well on the tasks at hand.